George Osborne delivered his Summer 2015 Budget yesterday, Wednesday 8th July, less than four months after he delivered the last one. Since his last Budget, in March, a lot has happened – including, in particular, the Tories’ election victory. 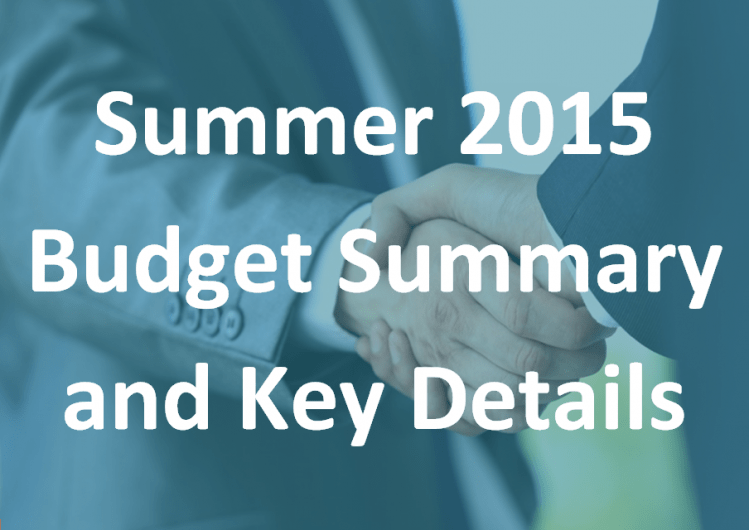 Read our Summer 2015 Budget summary and key details. Our summary focuses on the issues likely to affect you, your family and your business including the changes to tax on dividends and inheritance tax. To help you decipher what was announced we have included our own comments. If you have any questions please do not hesitate to contact us for advice. Peter is responsible for the firm’s specialist taxation services which encompass corporate and business taxation, personal tax and financial planning, trusts and VAT. For more information or advice on anything covered in this article, please contact Peter on [email protected] or 0114 266 7141.